Updo’s are one of the best hairstyles for many reasons! They are easy to make, many of them take only few minutes and they are perfect for any occasion. 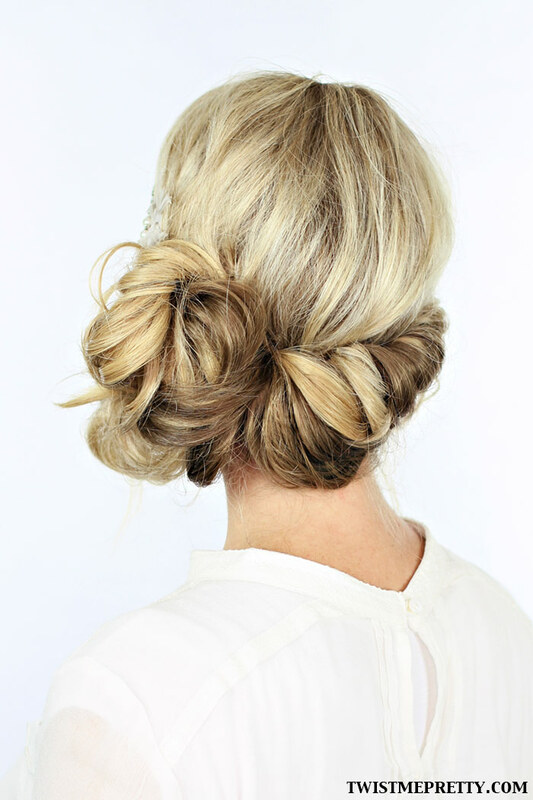 No matter if it’s elegant, messy or braided, the updo hairstyle can be managed for any hair length. Below you will see the ten hairstyles we picked for you, so if you have short, medium or long hair, you will find a hairstyle suitable for you. The hairstyles have the tutorial, either presented on the picture, or you will find out just by following the link below the picture. We fell in love with these updo’s and we are sure you will as well! This hairstyle is suitable for medium or long length hair. First tease at the crown, smooth out your hair and divide it into three section. Again, separate each section into three smaller ones and braid only of them. After that, braid together all three smaller sections and do this step with the the other big sections. Lose the three braids a bit and roll them individually into three smaller buns. Secure the updo with pins, apply some hairspray in order so last longer and you’re all done! 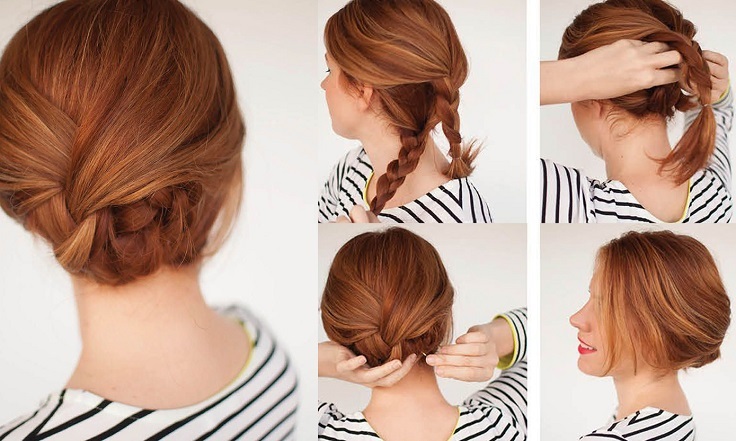 This is one of the hairstyles that will take you literally few minutes to make it. Beginner or advanced, you fill find this hairstyle very easy, and the good part about it is that it’s perfect for lazy or busy days. 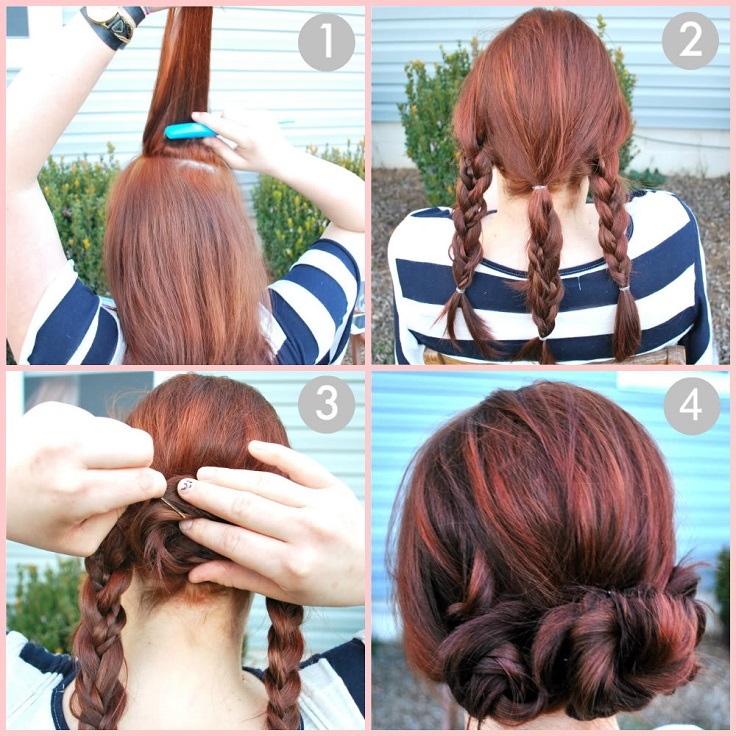 Separate your hair in two sections and braid each of them. Fold the lower braid inside and secure it with pin. Fold the upper braid around the lower one and secure this one as well with a braid. If you want to, you can leave out a small hair section, as previewed on the picture.